Home > Estimates > Estimates - FAQs > How Do I Send an Estimate to a Client? Click the ‘Send’ button at the top of the Estimate to email it. You can nominate the primary recipient using the “Customer Contact” field while editing the Estimate. 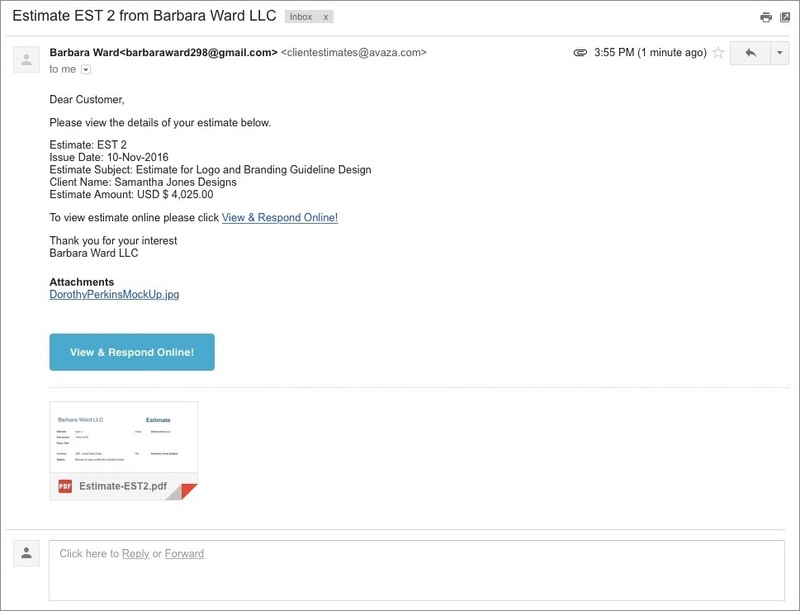 We will populate their name/email automatically under the Recipients in the Send Estimate popup and you can add more users to the Cc field if required. All the client contacts and team contacts with admin/invoice manager roles are listed as recipients. You can select one or more of them to receive this email. The Subject and Message are pre-filled based on the Send Estimate template however you can change any of the email content before sending the Estimate. 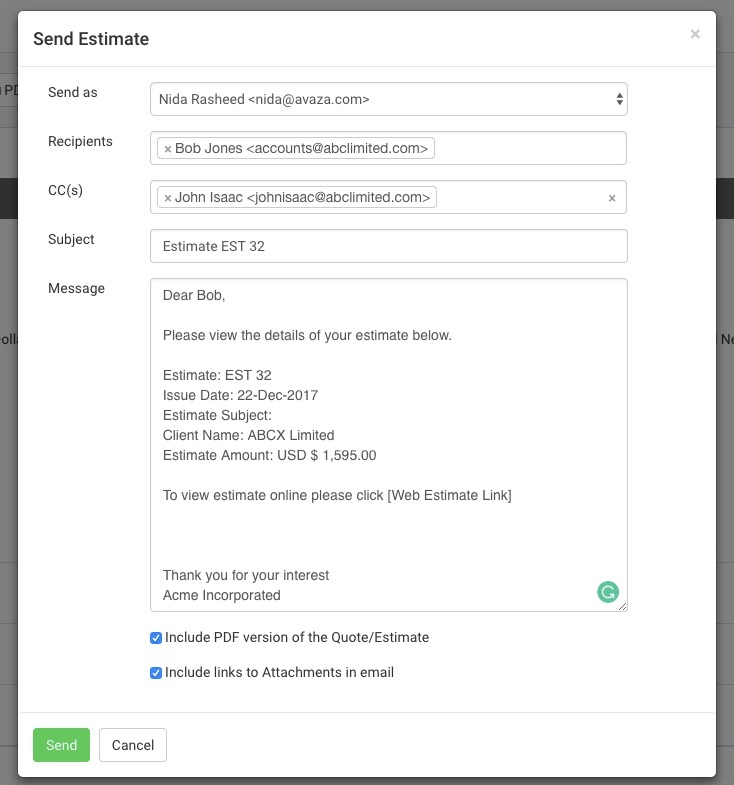 You can include a PDF version of the Estimate in the email as an attachment, and choose to include links to the attachments in the email using the checkboxes available. If you do not include the links to the attachment in the email, they can still be viewed via Web-view. You can also track whether the email and Estimate have been viewed by your customer. Read more about Estimates in our Getting Started with Estimates guide, or contact support via chat or email (support@avaza.com) if you need more help.